The box presents a very attractive cereal. Crispy flakes are shown intermingling with raisins, ribbons of dried apple and little clusters made of pepita and flax. It looks like it's gonna be good, but I'll be the judge of that. The flakes are very similar to Wheaties flakes only a bit more grainy. At first spoonful, that graininess was a put-off. As I ate more, I noticed that aspect less until I didn't really notice it at all. The "crispy clusters" aren't really very crispy, but they do offset the texture of the flakes and give the cereal a feeling of variety, i.e. every spoonful is a little different. I liked the addition of the dried apple. 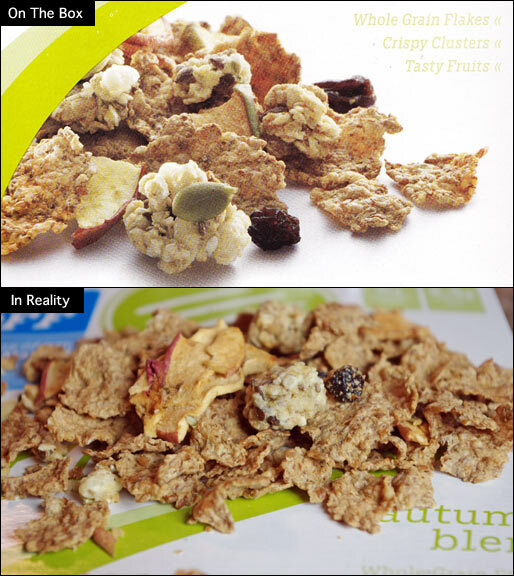 It doesn't make a huge flavor impact, but when you get a fairly large piece, it gives the cereal a uniqueness that you don't find anywhere else in the cereal aisle. The flavors in Autumn Blend work well together. If you're prone to whimsy, you really might get a sense of autumn. Sorry, if that makes me sound like a whimsical hippy. 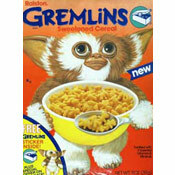 All in all, I liked this cereal. If you like wheat flakes and want to step it up a notch, this is a good cereal to try. Nutritional Considerations: A 1 cup serving has 210 calories, 2.5 grams total fat (0 saturated and 0 trans), 0 mg cholesterol, 110 grams sodium, 47 grams total carbs, 6 grams dietary fiber, 13 grams sugar and 6 grams protein. 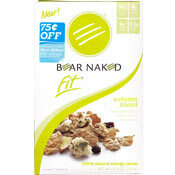 What do you think of Bear Naked Fit: Autumn Blend? I thought this cereal was great. It is so hard to find good tasting AND healthy stuff and this cereal really fits the bill.